The game this week is Twin Hawk which I wrote about last week. So instead of just copy and pasting something you all read last week, I thought I will write about the game I mistook last week as touchdown fever. 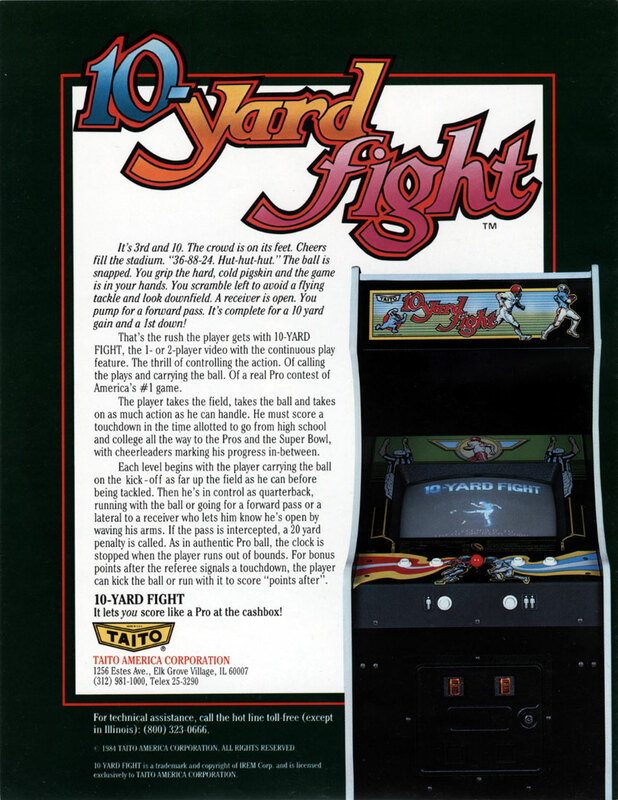 10-Yard Fight was developed by Irem (published in the US by Taito) and was release in 1983. 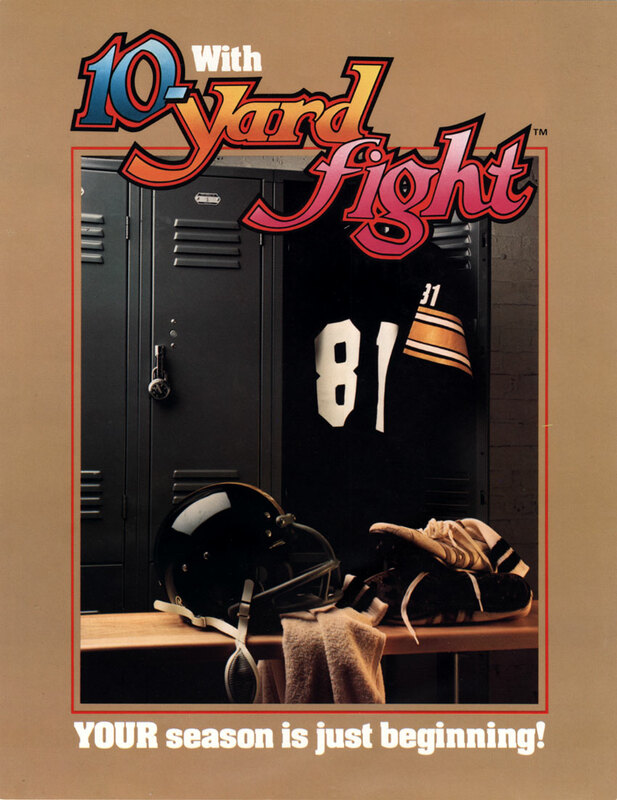 10-Yard Fight is a top-down vertical scrolling sports game (American football), in which are trying to build yourself up to a pro footballer. This game has no defensive part to it, so it is purely about the offensive game play of American football. The aim is to try and score a touchdown before the clock runs out, to move on to the next stage. 10-Yard Fight consists of four different stages played in two rounds each. All of which have different times on the clock. High school 1st - 60secs. High school 2nd - 50secs. The clock on each round does not start until the first tackle is made. After the first tackle you start as the quarterback and have the option to run, pass to a side receiver, or to a forward receiver. If your pass gets intercepted by the opposing team you will be pushed back 20 yards. If you are able to make it all the way to the end and beat the Super team you will keep playing them until you end up losing. After each touchdown you are about to score some bonus points with the bonus kick or run game. You will gain 1000 points for a successful kick or 3000 points for a successful run for a touchdown. Other points can be received but completing successful forward passes, getting to a touchdown after kick off, and many other ways.